SteelSeries takes the wraps off the Sensei [RAW], a new gaming mouse with a pro-grade laser sensor and a CPI (counts per inch) range of 90 to 5,700. It's basically a cheaper edition of the Sensei, the new Sensei [RAW] will ship in June for $59.99 (59.99EUR). Today, kicking off CeBIT 2012, SteelSeries, the leading manufacturer of premium-quality, competitive gaming peripherals, introduced the SteelSeries Sensei [RAW]. With best-in-class hardware like Omron switches, a pro-grade laser sensor and a CPI range from 90-5700, the SteelSeries Sensei [RAW] is designed to deliver the best in gaming performance. Its ambidextrous, all-grip design also features bright-white LED illumination in 3 zones –which can be configured with multiple levels of pulsation. Powered by the SteelSeries Engine software suite, users are equipped with advanced customization options and the ability to create and store an unlimited amount of profiles. 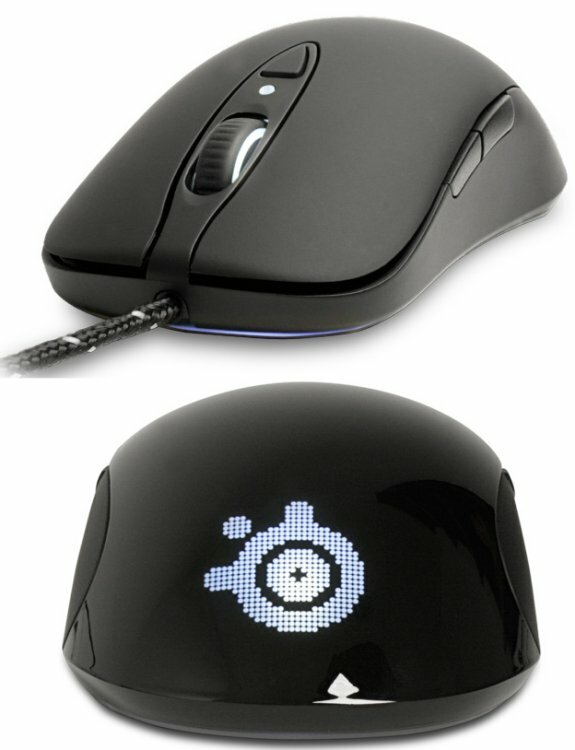 The SteelSeries Sensei [RAW] will be available in 2 different versions, each offering a very distinct feel for the user. For gamers who worry about sweaty palms, the SteelSeries Sensei [RAW] Rubberized features a rubberized black, hand-sweat resistant coating that allows for an exceptional grip and soft-touch comfort even during the most frantic gaming sessions. The SteelSeries Sensei [RAW] Glossy features a glossy black coating that delivers a unique grip and feel. This surface is ideal for players who prefer a smooth exterior that both looks and feels sleek. The SteelSeries Sensei [RAW], Rubberized and Glossy editions, will be available in the SteelSeries Web Shop and select retailers starting in June with an MSRP of $59.99/ €59.99.